Choosing a home is a decision that impacts life in all sorts of ways. Whether you’re buying for the first time, moving up, or downsizing, the importance of getting that decision right can’t be overstated. 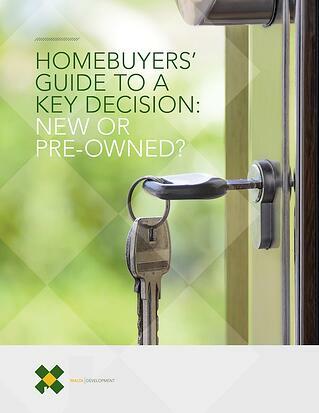 That’s why we created the Homebuyers’ Guide to a Key Decision. This free ebook looks at the two main options – new and pre-owned – and compares them in terms of customization, design, technology options, appreciation, maintenance costs, warranties, and energy efficiency. With facts and figures from objective, third party, studies, this Homebuyers’ Guide points the way to making a home choice that’s as easy to live with as it is economical. The home you decide to live in determines where you’ll sip your morning coffee, answer mail, get dressed for work, entertain friends, cook dinner, mix martinis, watch Netflix, check Facebook, curl up with a good book, open birthday presents, help with homework, feed the dog, celebrate the holidays, organize carpools, plan vacations, play Scrabble, cheer your home team from the couch, kick off your high heels after a night on the town, take bubble baths, say “Sweet dreams” . . . Well, you get the idea. It's a choice that matters much more than most. Learn more about creating your perfect home. Many prospective homebuyers think that having a dream home built is out of reach, that they’ll have to settle for a home with that used to belong to someone else. A less-than-perfect house that’ll need some changes before it can ever feel like their own. But here at Malta Development, we’ve been disproving this notion for nearly three decades. Since 1989, we’ve been building homes with innovative designs inspired by our customer’s desire for a better quality of life, at every stage in life. Homes personalized with the homeowner’s choices. Dream homes built from the ground up. Home is where life – to a large extent – happens. 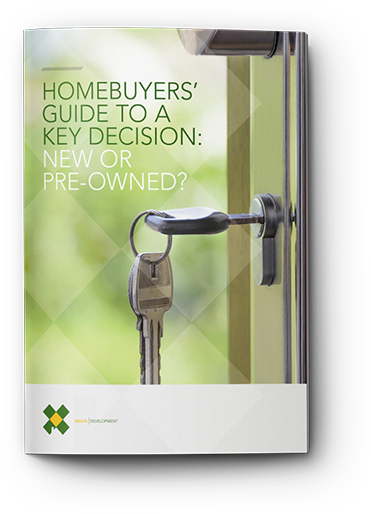 And our Homebuyers’ Guide to a Key Decision was written to help would-be homebuyers weigh the options and arrive at a home choice that makes life better.